It is coming, the newest Mexican airport in the Riviera Maya, and there is no stopping it. 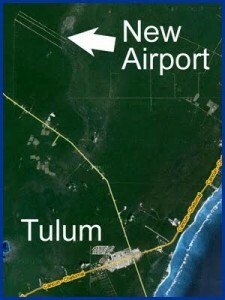 Years in the making and originally put on hold due to the global economic crisis, the airport will be located just outside of Tulum. Now with an improvement in the economy, strong interest of private-sector investors, and the demand for more options for international flights, the airport planning is back in full swing. It has an estimated cost of $255 million dollars and is expected to see approximately three million passengers each year. It will be located 55 kilometers south of the already existing Cancun International Airport and 35 miles northwest of the International Airport in Cozumel. 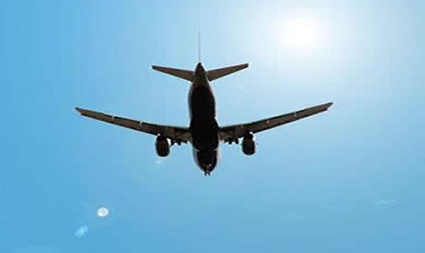 The development of the new airport comes with mixed reviews from both local and international communities. An estimated 2,644 acres of land will be consumed in the process. That means 2,644 acres of lush jungle filled with wildlife unique to the Yucatan Peninsula will be lost. It will also be very close to the precious Mayan archaeological site of Tulum. However, the construction of the newest airport will create a slew of jobs needed to boost both the local and national economy. Tourism is Mexico´s third largest source of revenue, so it should be no surprise that those in the tourism industry are all for it. Real Estate in the Riviera Maya is also expected to benefit. New Riviera Maya resorts are already in the Mexican tourism forecast, boosting a bigger and better economy for all and supplying more options for tourists looking to vacation on the white sand beaches adjoining the Caribbean Sea. Some think environmental factors outweigh the economic ones and vice versa. Regardless, it is fairly certain that the government will do all it can to ensure the continuation of the project. If all goes well, years from now, for better or worse, this sleepy corner of Mexico will be awakened to a lot more movement.